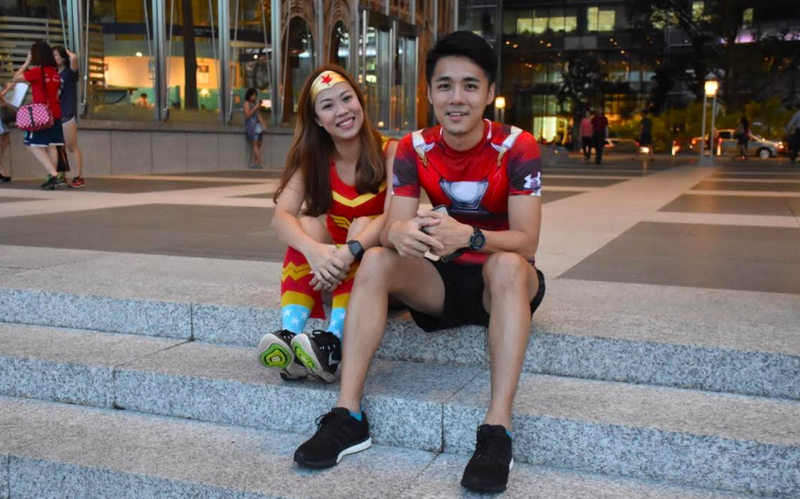 Interview With Sebastian & Cherlynn – Couples Who Run Together, Stay Together | JustRunLah! JustRunLah! : How will you introduce yourself to Asia running and fitness community? 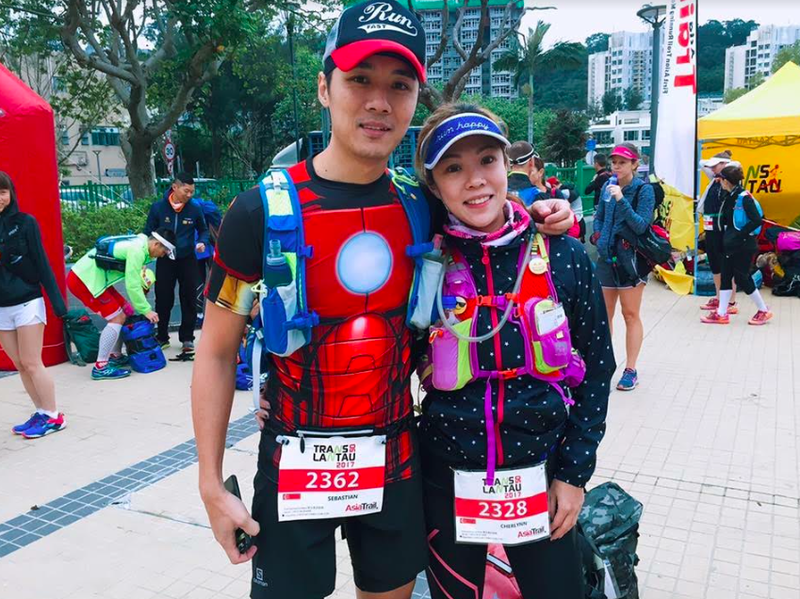 Sebastian – Hi, I’m Sebastian Cheong also known as Cheongster or Iron Man from the Superhero Runners running group. 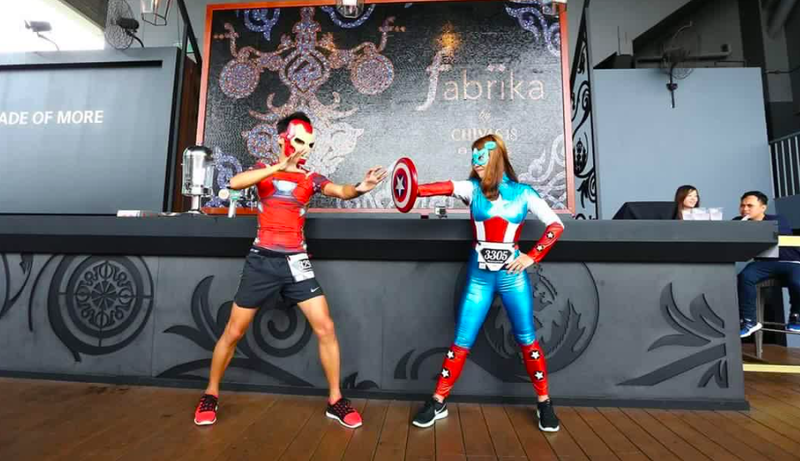 You would find me wearing Superhero attire during some of my runs because I want to make running fun and less boring. I hope to inspire and motivate others to lead a healthy lifestyle. Cherlynn – Hello! 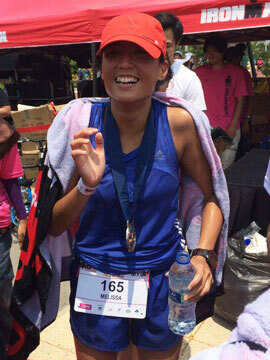 I am Cherlynn Sim and I run for fun and chocolates. You might find me running around Singapore Sports Hub on some evenings and at MacRitchie or Bukit Timah Hill on weekends. Running is a happy sport because it is free-of-charge and a little sweat reaps many benefits! ☺ I also find it very fun to dress up in costumes and colourful outfits to liven up the atmosphere at race events. JustRunLah! : How did you meet each other? Sebastian & Cherlynn – We met at a weekly run held by a running group. We clicked very well after hanging out socially with some of our running friends and began to go on run-dates and then joined races together, locally and overseas. In July this year, we marched down the aisle and became Mr & Mrs. We are blessed to have known each other through a sport we both enjoy! JustRunLah! : When did you first pick up running (what age) and what inspired you to do so? Sebastian – I picked up running at 31 years old after I followed a friend to a race expo. At the race expo, there were a few future races available for sign up. We stopped at the Sundown Marathon registration booth, my friend challenged me to sign up for the 42km category together. I took up the challenge! From the time I signed up to the race day, I had 4-5 months to train for my first race, a FULL marathon. So I disciplined myself to run 5-10km twice a week and also joined a running group to run together. I loved the process of training and never regretted starting. 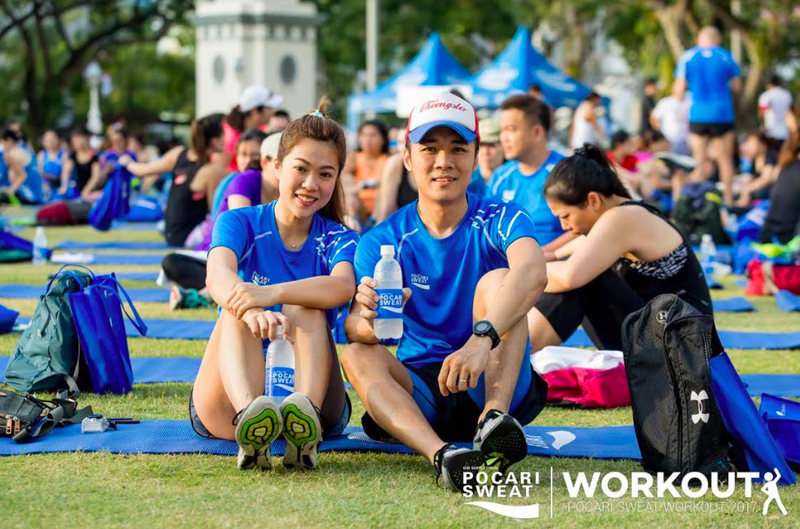 Cherlynn – I picked up running at 30 after watching a Friend run more than 20km on the treadmill, just to train for the Singapore Marathon. I could not reason why runners would pay an entry fee to suffer for 42km. I then signed up for my first running event which was the 2XU 12km run held at Sentosa and initiated my own training on the treadmill. I started with a walk-run pace for a mere 400m and picked up from there. Subsequently, my friends joined me and running became a social sport where we would meet to run for short distances at East Coast Park and proceed to have dinner after. As I improved, I joined mid to long distance running events and have since completed several marathons. JustRunLah! : Your greatest reward from your sporting journey so far? Sebastian & Cherlynn – The greatest reward is what running teaches us about our life journey. Apart from the taste of victory for conquering challenging running events, we learn about pacing, planning, discipline, managing our expectations, and at many times, being humbled by challenging situations. There are so many things we learn from running that we apply in our lives and it just becomes part of us. And it has always been for the better. JustRunLah! : What is your mantra for when the going gets tough in a race? Sebastian – Think why you are doing this in the first place. You are better than who you think you are. Cherlynn – Crush the Wall! I am tougher than I think! JustRunLah! : One advice for aspiring runners? 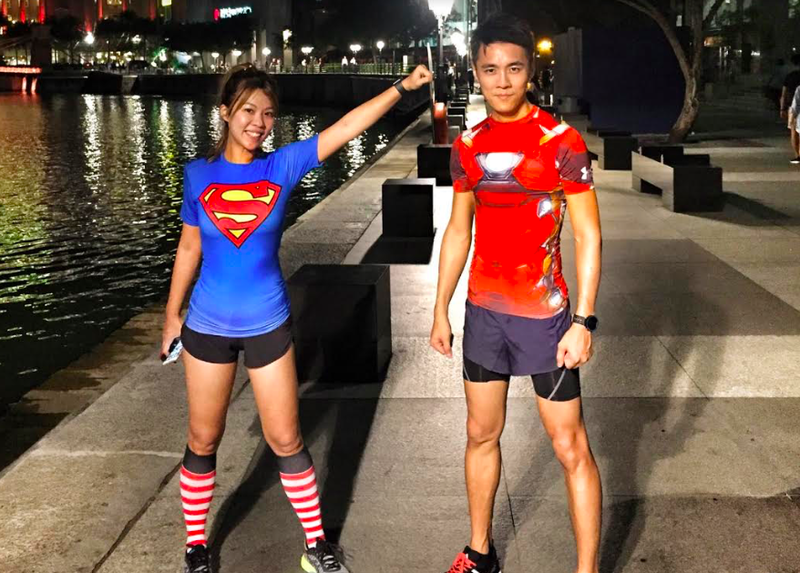 Sebastian & Cherlynn – Running is very enjoyable when you start at an easy pace. It is a holistic sport that is free and brings about many benefits – physically and mentally. Always start with a small goal like a short distance or a walk-run pace and never let seasoned runners or long distances intimidate you. Sign up for a local running event, find a buddy or join a running group who will motivate and inspire you to train and achieve the goal ahead. Sebastian – not about being better than someone else. It’s about being better than you used to be.